Color in this freckled pirate mask before you sail the seven seas. 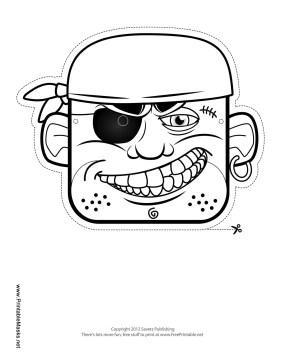 This pirate crewmember wears a bandana, eye patch, and earring. This mask is free to download and print.